Updates and stories about our work among the Badjao tribes in Southeast Asia. As a little girl, she used to tag along her mother who was tasked to take her cousin to school. During those times, she had a secret wish that she, too, could study. The classrooms fascinated her. What would it be like to learn how to read and write? But her parents could not afford it, so all she could do was just dream about it. This young girl’s prayer, however, was answered. Claire Kim became a Badjao Bridge scholar. 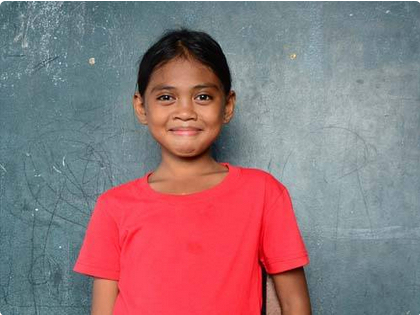 At the age of seven, she was finally able to go to school. Her academic performance speaks of her hunger to learn and excel. From first to seventh grade, she is the top student in her class. Now 14, Claire has maintained her academic standing. She is also one of our volunteer tutors. She comes almost every afternoon from school to our learning center to teach younger Badjao kids some basic reading skills. In 2016, she was inspired to see Lorna Cuham, one of our first two Badjao scholars to graduate, walk the stage in her graduation toga. It gave her hope and motivation that she, too, could finish college and one day become a teacher to help her Badjao community especially the children. She also wants to honor and help her family have a better life. She is thankful to her parents for the support despite financial difficulties. And of course, she is deeply grateful to her sponsors. For many kids in the Philippines with parents of means, it’s an annual shopping ritual to make – buying their educational supplies sometime before the school year starts - new school bags, notebooks, pencils or pens, crayons, uniforms, and more. But not so for Badjao children, where an average family survives on just $2 a day. The required school uniform and supplies often cost, at a minimum, over $30. It’s simply an insurmountable obstacle for the majority Badjao. When classes started this month, these kids pictured here were ready to go with everything they need for school. This was only made possible through our Child Sponsorship Program, where we are now helping 223 kids everyday! Kandi was one of our volunteers from the US who visited our community earlier this year. Thank you, Kandi, for taking that trip of faith and blessing the Badjaos with your heart. April is one of our favorite times of the year here at Badjao Bridge. It’s when we see our sponsored Badjao children graduate from school or climb even just one level higher from where they started. It is a joy to witness their journey and see them get closer to their goals and dreams one step at a time, reaching another milestone in their lives. In the photos are Mempe, Sabina, Elena, and Ricky (above) and Carla (right). They are our five scholars who recently graduated from senior high school. They have overcome great odds to reach this far. Mempe, 19, said he never thought he could make it. But with determination and with the support of Badjao Bridge, he did it. Carla graduated with high honors. We also have 10 students who graduated from elementary school, two of them also with honors. We are so proud of them! All of this would not have been possible if not for your continued partnership with us through your prayers and financial support or any other way you have extended help to our work among the Badjao communities. We are truly grateful. A little over four years ago, we witnessed the complete devastation of a sea-dwelling village from the strongest typhoon ever recorded on earth. This was the moment we realized that as an organization dedicated to partnering with land-less Badjao families, we needed a structure of protection to shelter more than 150 vulnerable children during calamities. The idea grew to include a preschool, after-school tutorial center, occasional health clinic and bathrooms for children and families lacking sanitary facilities. 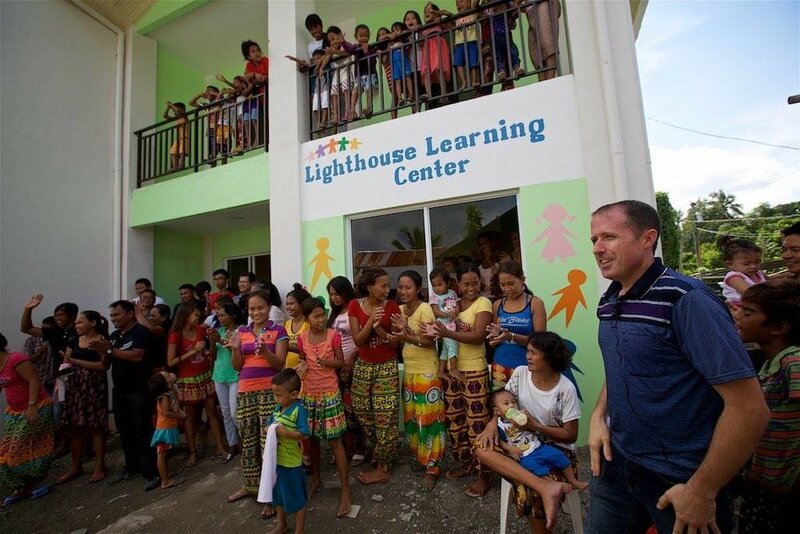 The Lighthouse would be dedicated to empowering the lives of hundreds and even thousands of children. Though not yet finished, we dedicated this building in a community wide celebration. By the end of this year, we aim to complete the needed water filtration system, kitchen for school lunches, and bathrooms. If you've been a part of this project, or simply sponsoring a child, we share this exciting news with you in appreciation for your help. Thank you! Born and raised in a hut over the water in a family which struggled to eat, Carmel’s prospects to escape poverty seemed dim. 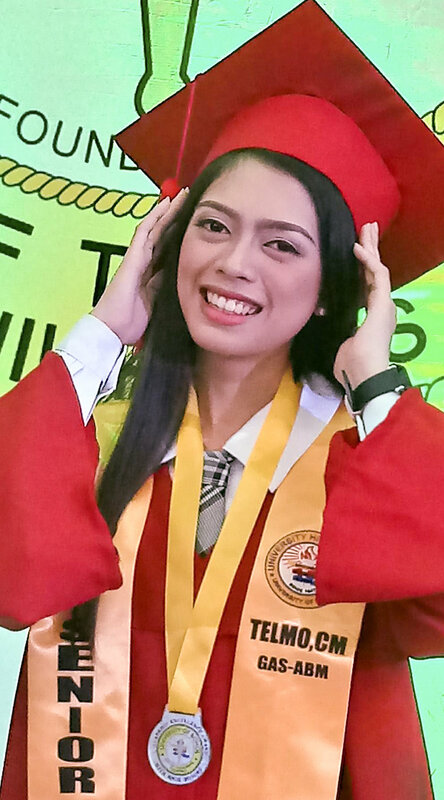 But thanks to Badjao Bridge’s sponsorship program, she became the first of her family to graduate high school and now studies accounting in a local college. Soon she’ll graduate with honors, and her career goals include helping Badjao Bridge to support other families in need. This didn’t happen by itself. The support of donors and boundless dedication of volunteers and staff are improving the prospects of hundreds of Badjao. We’re in the final stretch of fundraising for our new learning center, The Lighthouse. This multi-purpose facility will serve as a preschool, tutorial center, and emergency shelter for vulnerable children. It also will provide families with access to safe water and sanitation through a rainwater filtration system and access to toilets. Donations totaling $100,000 have brought us through design, planning, and most of the construction phase. We are heading toward the finish line to complete this project by the end of 2017. Thanks to donors who have adopted this vision and partnered with us so far. We've got a lot of great updates to share with you here! Thank you everyone who has sponsored a child, gifted a computer, donated money for our property, building or community toilets. 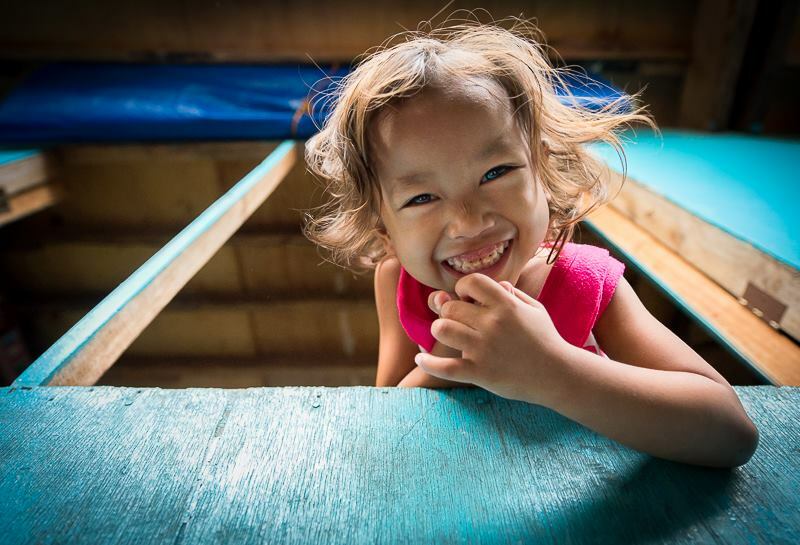 Your help has changed the lives of hundreds of Badjao sea-dwelling children! Here's a quick update on everything we're doing. With heavy hearts we report that another tragedy struck the community this month. Jovert, three years old, passed away due to complications after contracting a virus that swept through the tribe. At one point, more than 40 children were hospitalized at the overrun government hospital, all suffering from gastroenteritis and most of them were severely dehydrated. Our staff and volunteers quickly mobilized to purchase the prescribed medicine, which is not provided by the hospital. As of today, there are just a handful of children still admitted and they are all expected to be discharged soon. Sadly, deaths among children we work with have become common enough that we've added a line item in our annual budget to help pay for funerals. If there is anything good to come out of tragic situations like this, we find it can serve as a renewed sense of urgency to help this community find a way out of the mire of poverty they endure each day. Most kids we work with are malnourished, which weakens their immune system and leads to situations like the one this month. We've been providing school lunches for years now, but soon will start a breakfast program using fortified meal packs from Kids Against Hunger. A special thanks to Auburn Presbyterian Church for sponsoring 24 new children and a special donation for our septic tank project! Coming alongside our Badjao friends these past seven years, we've had more than a few setbacks. Children have died, parents have been killed, young teens in our program decided to leave school and get married. But the last few months have been different. A steady stream of good news! Lorna and Madonna, the first ever in the community to attend college, were helped with a college scholarship the last 5 years and graduated in October! With a Criminology degree, they'll enter the police academy next year. Our short-term team of health professionals successfully taught more than a 100 kids health and hygiene basics (a big deal with communicable diseases that have been fatal with kids). With a lot of community support, we are now helping 140 kids get to school everyday. To help oversee this expansion, we've hired a part-time interim Executive Director, Mr. Ronnie Saguit. He has both the heart and organizational skills to help us expand even further. We are finally moving forward on our Lighthouse Project - with a serendipitous change of plans! We ambitiously planned a three-story preschool, office, livelihood training center and storm shelter during typhoons. To no avail, we have spent two years trying to resolve a thorny road access issue which prevented us from starting construction. Our latest plan is to scale down our Lighthouse Center to a size that can be constructed without a road for construction equipment. This one-story building, with the option for a second story later, will break by April 2017! 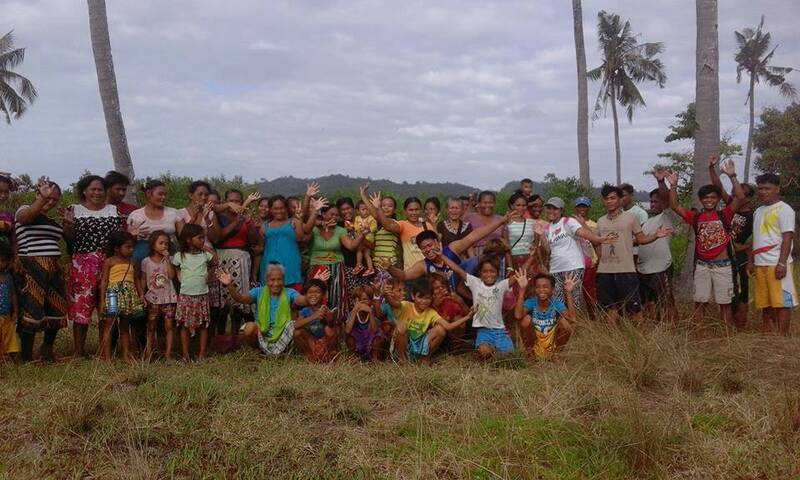 Because this building will not cost as much as we planned, we were able to purchase a second property for another Badjao community that desperately needed land to build their huts. The 3.2 acre ocean front property can accommodate more than 120 families. 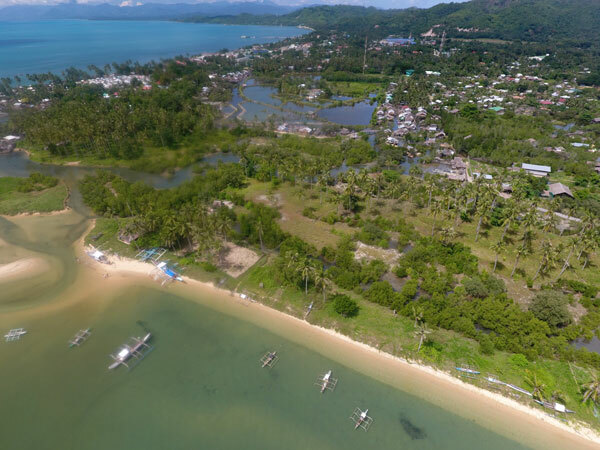 In the Lighthouse spirit of providing a refuge for sea-dwellers, this expansion to the second location was fortuitous - we're now helping two communities instead of just one! Shown above are some of the families visiting the property we purchased in November. After we build enough toilets, (with their sweat equity) they will be able to move! Shown here below is an aerial shot of the property. After years of renting beach space from land owners, they will finally be able to settle on their own property. Are you able to read this post? No doubt, your immediate answer is, “Yes, of course!” What a gift literacy is! Though it impacts our lives daily, we take the skill as a given. Yet, in communities such as the Badjaos in the Philippines, this is not a skill taken for granted, nor a skill that historically has existed in the community. Without this skill, it severely limits one's life's choices. That’s why Badjao Bridge stresses its importance and is at work in advocating literacy along with the Good News. “Education is very important because most of the children are not literate and mostly the parents can’t help them read and write,” says Paz Oroyan, our teacher in the Alternative Learning Program. Since their parents are also illiterate, most of the children need learning assistance, coaching, or tutoring outside their homes if they are to be educated. They need to be literate if there is any hope for them to assimilate with peers outside of their tribe and for them to have any vocational choices in adulthood. Sharing our vision to spread literacy, Paz came to work with Badjao Bridge last September, bringing positive energy and a creative bent in her lesson plans as an experienced teacher. A native of the Visayan community next door, she has been familiar with the lifestyle and needs of the Badjaos all her life. Yet, as she works with unschooled children, she finds this the most challenging teaching position she has held. “These children’s needs are different,” she says, “so I adapt various teaching methods to their particular learning styles.” These are kids who don’t have a basic elementary education but who enjoy coming every afternoon to the Alternative Learning Program where they have a chance to grasp basic concepts in reading and writing. Paz’s desire to see the kids excel is rewarded with the kids’ enthusiasm and progress. One such middle-school aged boy, Brian, makes it a priority to come even with his active work schedule. Brian senses responsibility to help provide for his family. So, like other boys in the community, he works in the evening preparing their boat for night sea fishing. Then, about midnight, he sails out with his dad in hopes of a good catch he can sell in town the next day. After fishing through the night, about 7:00 a.m. he finally falls into bed for five or six hours’ sleep. It’s then time at 1:00 p.m. to join other kids in the Alternative Learning Program for a couple of hours of focused literacy training. Learning to read is the highlight of Brian’s day. If he oversleeps and the group starts a session without him, this mild-mannered kid gets upset. So, along with all her other challenging responsibilities, his teacher, Paz, makes sure someone stops by Brian’s stilt dwelling in the sea to wake him before they begin the afternoon’s learning exercises and activities. Occasionally, Badjao Bridge also provides a scholarship beyond high school for worthy students who dare to reach beyond what the community ever thought possible. While the hand built motorized outrigger churned toward our small group standing on the coral north shore, we could just make out a smiling Joshua, top spear fisherman of the Badjao tribe, standing in the bow holding out to us something long and silvery. As the boat drew closer through the slightly choppy blue-green water of the Cebu Strait it became apparent that he was holding our lunch, a huge barracuda he had just caught. As the group of four Badjao fishermen piled out of the boat it was obvious they were as excited about sharing their prize with us as they were about catching it. A fish that could have brought 600 pesos at the market –a good price for an entire day’s work – was their gift to their American guests visiting as part of a mission trip from Badjao Bridge and the First Presbyterian Church of Hayward (CA). As the fish was chopped up and put in a pot of boiling water for us to share with rice and vegetables, we realized this just another example of how some of the world’s most desperately poor are among the most unreservedly generous. The impromptu lunch was followed by a voyage on two outriggers into the channel between Panglao and Cebu islands, where we visited a desert island before enjoying spectacular snorkeling in the waters above the reef. Off to the west we could see darkly looming from the southern tip of the island of Negros Oriental the 6,200 foot high Mount Talinis, considered by seismologists a “potentially active” volcano. The afternoon was more than ecotourism, it was an opportunity to see how these sea gypsies practice their traditional livelihood. At the same time, the heads of Badjao households wrestle with the opposition of governments to their fishing methods and some recognize their impoverished tribe may be faced with developing a lifestyle more dependent on the land, including jewelry making with pearls. That means the children of these nomads who largely live on houses on stilts above the ocean will be dependent on the one thing most other cultures take for granted: an education. That’s the mission of Badjao Bridge, the nonprofit organization dedicated to raising the Badjao up from poverty by sponsoring children to attend school and other classes, providing nourishment with free lunches, and giving educational experiences in hygiene, gardening, and the arts. A recent week-long visit to a Badjao tribe allowed seven of us from the Hayward and Castro Valley communities to see how the Badjao live. Working mainly with children, we treated their hair for lice, gave out toothbrushes and showed how to use them, and gave lessons in how to wash their hands. The children were delighted to plant tomatoes that will grow in special upside down planters. Children who live over the sea or on a coral shore can be unfamiliar with basic gardening. There was singing and dancing, and a group of young professionals from the nearby island of Cebu dropped by to talk about different careers that can be open to children who take advantage of going to school. More than 100 Badjao children are able to go to school thanks to sponsorships that allow them to have uniforms and shoes. Another 50 children, who are not allowed to attend public school because they don’t have birth certificates, attend classes in a Badjao Bridge classroom in the village. A bittersweet highlight of our visit came on our last day, when we distributed 200 pairs of shoes donated by members of the First Presbyterian Church of Hayward. The need was so great that we could have used 50 more pairs. 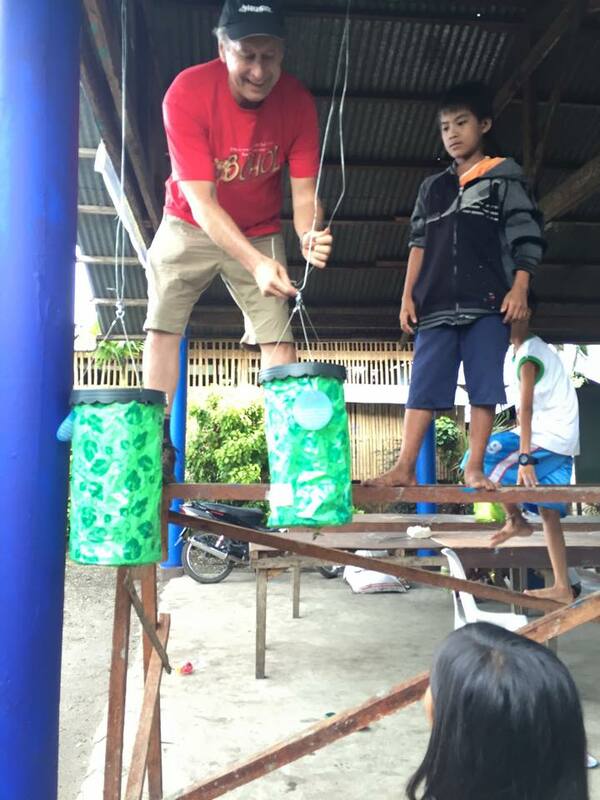 The work of Badjao Bridge continues because of the generosity of donors in the USA and the Philippines. Anyone interested in visiting the Badjao can do so during guided trips hosted by our director here and staff on site in the Philippines. On the shore where scrap-built houses on stilts rise precariously out of the waves of the sea fourteen feet below, Badjao children play, work, study, and sometimes dream. Few of their dreams, however, float very far. But with some help, encouragement, and guidance, a child’s dream can find its way to realization. Finishing high school was one of Carmel’s dreams. In a recent gathering of Badjao Bridge’s sponsored youth, Carmel, a child dreamer, shared how she was beginning to see the promise of her big dream. She had applied herself to her studies on a Badjao Bridge scholarship and was able to realize that first dream: completing high school! Yes, it had been tough living in squalor with her siblings and struggling single mother. But despite a very difficult and dysfunctional family background and impoverished economic circumstances, she made it! That was an achievement worth celebrating. What’s more, the fulfillment of this dream, birthed the possibility of another. When Carmel discovered that Badjao Bridge was providing local college scholarships to a few outstanding students in the community, she went for it. Now enrolled as a sophomore in college, Carmel is working toward her baccalaureate degree in accounting. Not only is she excelling in her studies, but her enthusiastic application to studying has earned her a place on the dean’s list! In a community where more than 90% of the adults are illiterate, that is indeed an achievement to celebrate! For practical application of the skills she is learning, Carmel is helping Weng, Badjao Bridge’s Program Director, with the organization’s bookkeeping. She also helps in tutoring younger children so that they, too, can float a dream and see it become reality. A dream realized for one Badjao child has a ripple effect of encouragement for other students whose dreams are few. Since she comes from the same community, they can resonate with Carmel’s story as an overcomer and pursuer of dreams. As she gratefully and tearfully tells her powerful story of how she never thought it would be possible to attain her dream to become an accountant, she, and others, get a glimpse of possibilities and dream their own dreams despite the obstacles that often seem insurmountable. A few weeks before I was to accompany Dan Johanson (Badjao Bridge Director) and the Badjao Bridge team to the Philippines, I received an email from Dan containing a heartbreaking story. Little Pina, a five year old Badjao girl, had slipped and fallen into the water during the night after leaving her father’s side where she slept. Little Pina always slept with her head on her father Abel’s chest. Abel felt responsible for her death as he failed to wake up when she lifted her head. Dan informed me that Abel and his wife Paysa (mother of Pina) were in shock over the loss of Pina and needed someone to talk to who could better relate to the loss of a child. I wept as I read the email and saw the photo of little Pina. Not only did she have a beautiful smile but she was such a promising student in the Badjoa Bridge school. So much loss, so painful to think about, having for my own frame of reference our families indescribable loss only a year ago. As I sat before Abel, Paysa and Abel Jr., in their little house on stilts over the water on Panglau island in the Philippines, I wept with them as they told me of their loss. They described feelings that I could certainly relate to, and they asked me several questions. One of their questions was; will the pain go away, the pain that caused poor Paysa to climb to her roof and contemplate taking her own life, the pain that keeps Abel from going back to work. I told them that I wish I could tell them that the pain goes away, that time heals all things but that is simply not true. Instead I shared that in my experience, and from the experience of those whom I have talked with at length, the pain does not stop. You learn to live with it. I call it starting a new life. You learn to live this new life and you learn to accept this pain that cannot be “fixed” or made better. I let them know that they hurt so much because they loved little Pina so much, I encouraged them to work on associating the pain with love. You can’t have one without the other. To work towards letting that pain remind them of the intensity of the love they have for their precious daughter. The importance of realizing that it’s ok to hurt, it’s ok to feel really really bad. The pain is bad enough without the added anxiety of thinking you should work at fixing the pain. To shut out the pain is to also end the relationship with the one that you lost here on earth.Most importantly, I had the privilege to just listen to their stories about their little girl that they loved and continue to love so very much. To assure them that they are not alone in their pain, that I share their loss and their grief and that we walk this path together. In the early stages of grief, that is about all that one can process. It does not remove the pain but it makes it a little more manageable, sharing the load with another.I was blessed to offer them hope, to encourage them to focus on the things that little Pina loved and was passionate about; that by doing this, the relationship continues and her story lives on. To read Ronnie’s complete story of this trip, head over to his blog: Coastal Traveler. We are excited to report that the end of March marked not only the end of the school year in the Philippines but a significant accomplishment for eleven of our Badjao students who graduated from elementary school (the equivalent of a 6th grade U.S. education). For nine girls, ranging in age from 12 to 14, and two boys, age 15 and 17, this was a significant personal achievement as they overcame the odds to be education trail blazers in their families and community. Throughout the past school year, the two boys—Juvy (far right) and Wowie (far left) both of whom want to become doctors—experienced particular pressure to abandon their education goal. Nonetheless, with the support and guidance of Badjao Bridge, they persevered. Even with the late night schedule, Juvy was awarded recognition for outstanding attendance and Wowie completed his studies despite a battle with degenerative eyesight. Often the boys were tempted to succumb to life’s pressures. But, leaning on each other, they overcame adversity and the pressure to abandon their education dream. The success of these eleven graduates is Badjao Bridge’s shared success! One of our primary goals is to change the trajectory of the next generation’s lives through the foundation of education, a portal to new opportunities.